Congressional leaders and representatives of the US military-intelligence apparatus have stepped up their threats against Edward Snowden and the journalists who have worked with him to expose massive illegal spying by the National Security Agency (NSA). 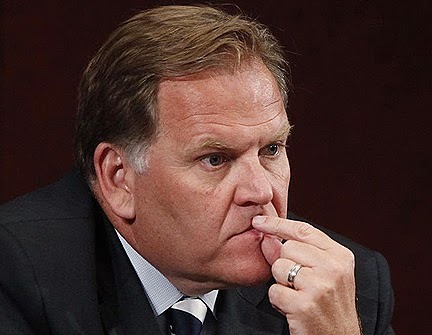 At a hearing Tuesday of the House Intelligence Committee, Chairman Mike Rogers, a Michigan Republican, repeatedly suggested that journalists who received leaked NSA documents from Snowden and wrote articles about them were guilty of criminal acts. These statements follow published death threats against Snowden from unnamed military and intelligence officials and demands from the Obama administration that he plead guilty and turn himself in. Comey was more cautious in his public utterances, agreeing that a journalist who sold stolen jewelry was guilty of a crime, but suggesting stolen documents might not be as clear a case. “I think that’s a harder question because it involves a news-gathering function,” he said. It “could have First Amendment implications,” he added. [Emphasis added]. The obvious conclusion of the exchange between Rogers and Comey is that the Obama administration is considering criminal charges against Greenwald, as well as filmmaker Laura Poitras and Washington Post contributor Barton Gellman, who also have access to the Snowden documents and have reported on them. The McCarthy-style threats against journalists by Rogers came amid mounting threats against Snowden and his allies by top military-intelligence officials. Army Lt. Gen. Michael Flynn, who commands the Defense Intelligence Agency, and Matt Olsen, chief of the National Counterterrorism Center, claimed that Snowden’s revelations had resulted in changes in how Al Qaeda and other terrorist groups conduct their communications activities. “What we’ve seen in the last six to eight months is an awareness by these groups…of our ability to monitor communications and specific instances where they’ve changed the ways in which they communicate to avoid being surveilled,” Olsen said. This is both unprovable and likely bogus, since the vast bulk of the Snowden revelations concern US government spying on ordinary citizens of the United States and other countries to accumulate a gigantic database of all the communications linking all individuals throughout the world. This has nothing to do with fighting terrorism and everything to do with profiling the population politically and preparing the military-intelligence apparatus to suppress movements from below that would threaten the profits and property of the financial aristocracy. The Senate Intelligence Committee hearing coincided with the release of a 27-page report, “Worldwide Threat Assessment of the US Intelligence Community,” filed annually with Congress by the director of national intelligence (DNI). This year’s report for the first time cites internal leaks as a major danger to US national security and actually ranks such leaks ahead of terrorism as a threat. The DNI report now lists terrorism only third in its list of threats. Top billing is given to the danger of cyberattacks, with Russia, China, Iran and North Korea cited as the main concerns. This list gives a glimpse of the behind-the-scenes discussions in the Pentagon, CIA and State Department, where there is increasing focus on the prospect of direct military conflict with Russia and China, countries with the second- and third-largest nuclear arsenals after the United States. The ranking of Snowden-type leakers ahead of terrorism as a threat has the most ominous implications. 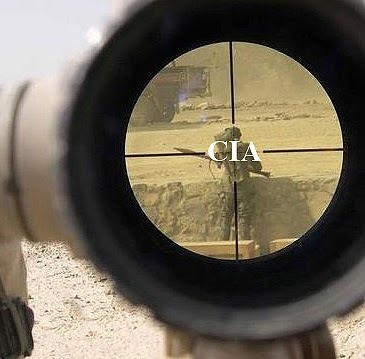 Terrorism has been used as the justification for an unprecedented assertion of presidential power to order the killing of American citizens without trial or any other judicial process. Obama has acknowledged giving the first such order, which was carried out in 2011 when a CIA-fired drone missile killed Anwar al-Awlaki, a US-born Islamic cleric living in Yemen. If Snowden is an even bigger threat, as the DNI report suggests, what is to stop the “commander in chief” from ordering his assassination? In the course of the past month, there have been increasingly bloodthirsty declarations from NSA operatives and congressional Republicans advocating such an operation. The White House has not joined in the open discussion of killing Snowden, but Obama’s style in such matters has been to act first and talk about it later.